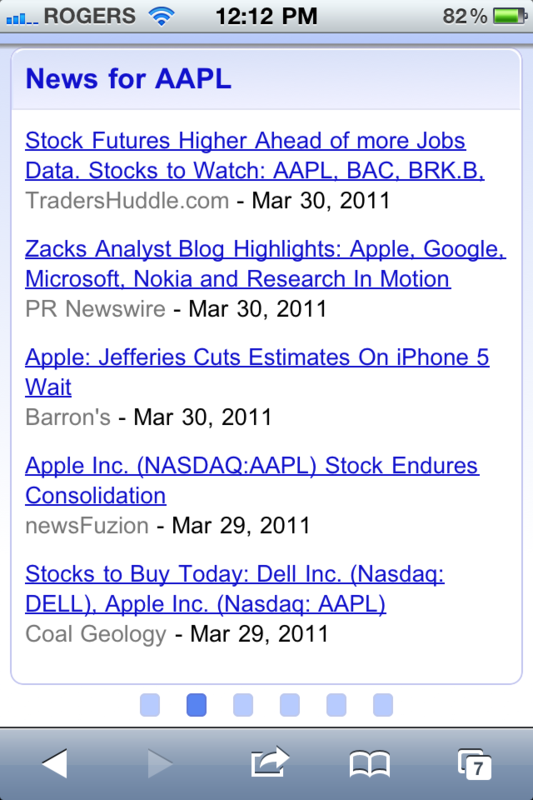 Google has just vastly improved how stock ticker searches appear in mobile Safari on the iPhone, as announced on their Google Mobile Blog. 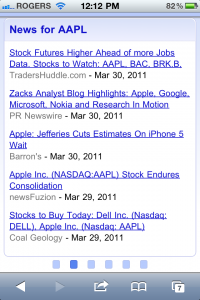 When you search for any stock ticker, results are now easier to read, include a larger graph, and includes multi touch gestures. 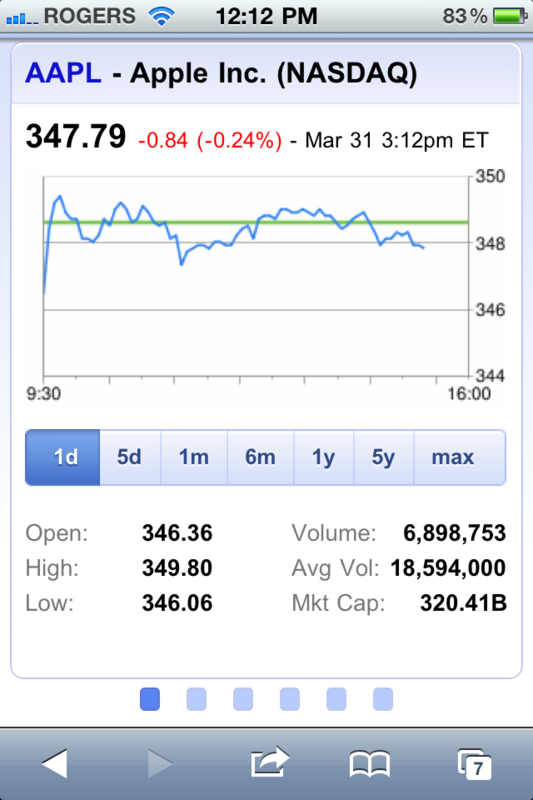 By swiping to the left, you’ll be able to access the latest news and your Google Finance portfolio. For financial queries, where you might want to see stock quotes, the latest news, a market overview or portfolio details, weâ€™ve just launched a new approach in Google search. The first thing youâ€™ll see is an interactive graph shown on a card – you can switch views to different date ranges by tapping on the buttons below the graph. If you swipe the card from right to left, youâ€™ll get the latest financial news for the company. 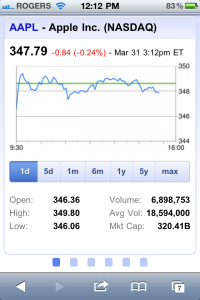 Swipe again for a market overview, and if youâ€™re logged in to your Google account and have created a Google Finance portfolio, a further swipe will show a summary of your stock portfolio. 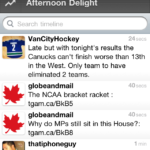 It also works on Google.ca, and works really great. Give it a try and let me know what you think! I love how Google continues to churn out great features for iOS users. Previously they introduced interactive weather results.